Kanji are the complex “Chinese characters” of Japanese writing, as opposed to the two simple phonetic Japanese alphabets that he uses mostly at this point. ....and so preserve a bit longer the magic that is Santa. YAY! 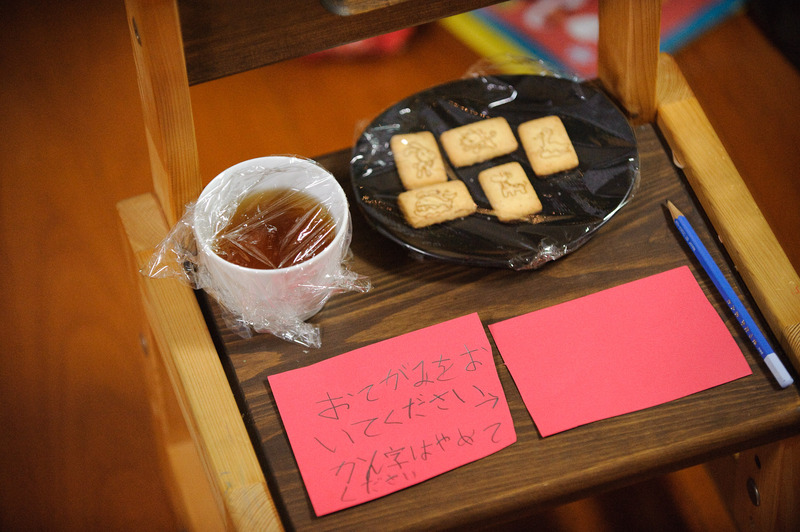 You have “passatempo” biscuit in Japan too! I thought this only existed in Brazil! I Just LOVE that! And I’m SURE Santa will love too! 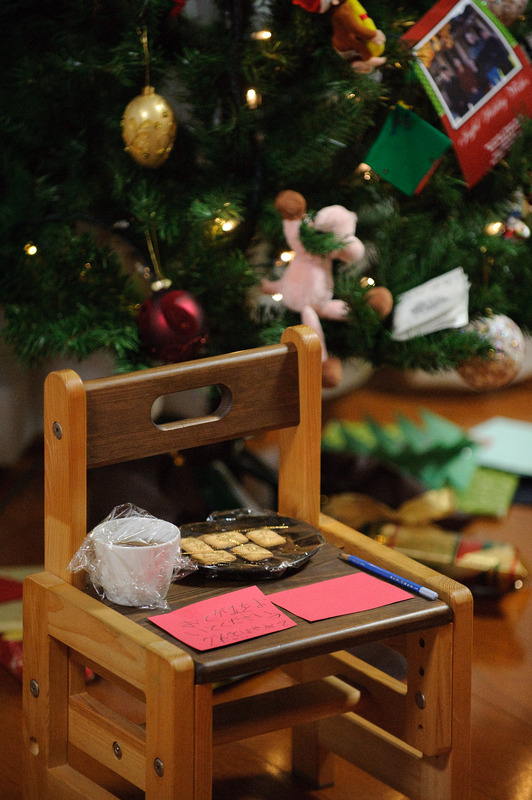 I hope that Santa will leave some crumbs on the plate. If that isn’t proof enough of Santa Claus then I don’t know what is. Thank you for this wonderful blog that walks deftly on the fence between the two worlds of serious photographer/artist journal and Friedl family slide show. For all of us that can’t get to Japan but maybe once a year, your blog is like a daily Japan-sulin shot. I wish you and your family happiness, health and prosperity in the next year. Merry Christmas Jeffrey, to you and your family, I hope you all have a great time. I hope you and your family had a very Merry Christmas! I know it’s kind of tough getting into the “season spirit” in Japan, but your photos are awesome and they really bring out the feeling. Thanks for sharing. I love your explanation to all the doubting Thomas’s out there. I often ask my university students if they had believed in Santa when they were younger and most of them had. However, there are always a few who hadn’t, because their parents were Buddhists, perhaps, or, for whatever reason. I then ask them if they will tell their children about Santa when that time comes, and I think everyone one of them has said they would. I then asked them all, why?, as Santa is not a traditional Japanese custom and only began to be practiced by the general population in the 50’s. And their response is usually, once translated into English, something along the lines of “the dream”. “To have a dream”. It is strange though that there is no accompanying understanding of Christmas as a religious ceremony. And really no follow-up emotion, as Jeffrey explained, in that Christmas is a normal working day here. Even the shopping centers don’t play Christmas music on Christmas day. Certainly, Christmas only has significance here for young children getting presents from Santa and as a romantic event for couples (prior to marriage!) on Christmas Eve. It is really no wonder that the kids can’t go to sleep. They really want to see Santa, so it is almost inevitable that they are awake, pretending to be asleep, when the mother or father quietly sneaks into their room and places the present next to the pillow. If they had the present placed under the Christmas tree, it would have made it easier to do secretly, but that part of the tradition never made it past translation. Considering how loathe Japanese are to have guests in the first place, the entry of this rather large gaikokujin from the North Pole into the private recesses of their home can be nothing short of absolutely miraculous for the kids.